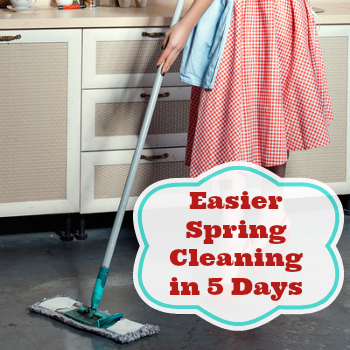 Keeping our house clean when things get busy can be hard. This is especially true around the holidays. 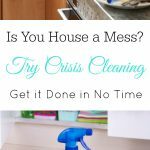 If you take these steps you can avoid that stress and keep your house clean. Keeping your house clean can be a lot of work, especially as homes keep getting bigger. When things get busy, like around the holidays, keeping up with your house can seem impossible. 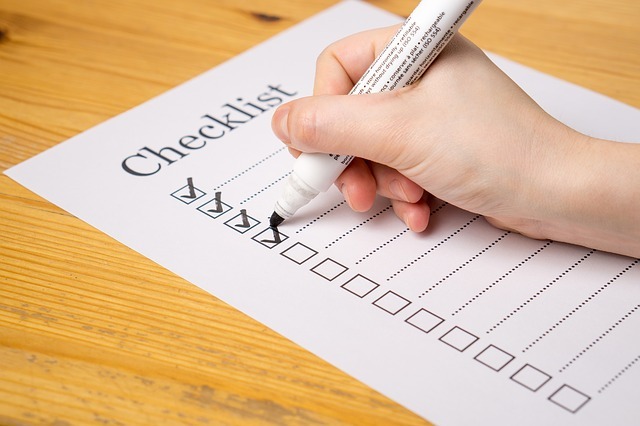 We all have so many responsibilities our homes can end up pretty low on our to-do lists. I personally not only have a lot on my plate but I also have fibromyalgia. 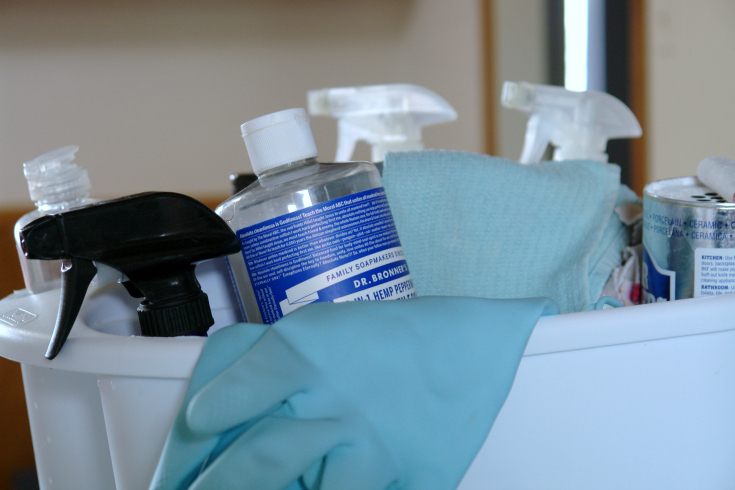 It causes a lot of fatigue and pain which can also interfere with keeping a house clean. I know unfortunately many of you can relate. One of my biggest goals this year has been to work on keeping my home ready for surprise guests. While I’m still not doing this perfectly I have gotten better about this and have learned a lot of tips along the way. 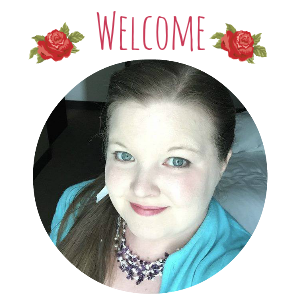 I thought I would share some of the things I have learned that are helping me with this task. This is something I have been really focused on lately. We have a fairly small home, it’s 1,300 square feet, you can fill that up very quickly. Both my husband and I work from home so that can also add to the things we have in our home. To make this work we need to always be thinking about what we bring in and getting rid of things we no longer use. It’s become very clear to me how much easier it is to care for a clutter-free home because the one room that stays really clean in our house with little to no effort is our living room. The living room has very little stuff other than furniture and we have a fair amount of storage so the things that are in there have a home. Usually, all I have to do to get the living room in good shape is put a couple of things away and fix the pillows. This is something I’m working on in other rooms so they work the same way. It can make a huge difference, especially in small spaces. Focus on the main rooms. 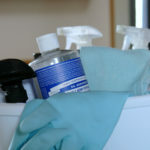 If I’m overwhelmed or things are really busy the rooms I make sure are clean are ones guests would be in. For us, that’s our main bathroom, living room, and kitchen. The other rooms have doors and can be shut if they aren’t in good shape. Depending on the season of life you are in this can be really helpful for reducing your stress. You don’t want the other rooms to get horrible but sometimes this may be all you can do and that’s okay. If you have kids get them involved. Growing up we had chores we always had to do but sometimes there was also a list of extra chores we could do to earn more money or TV time. Depending on how old your kids are this could help you knock a few projects off of your list. One of our biggest chores around here is vacuuming. We have a Great Pyrenees/Anatolian Shepherd mix and she sheds like crazy, most of the year. We need to vacuum often to keep up with it. So this is a task my husband and I split. It would be a pain for either of us to have to do it all of the time. Do light cleaning every day. Instead of doing a lot of cleaning at once, try doing a small amount of light cleaning every day. This can help you keep on top of things with minimal effort any one day. 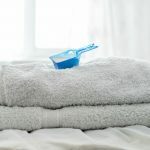 I have a couple of posts on this that can help you get started; Daily Habits for a Clean Home and Daily Habits for a Clean Kitchen. 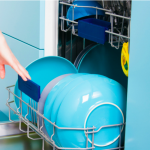 Doing these things can help you stay on top of housework even when things are busy. 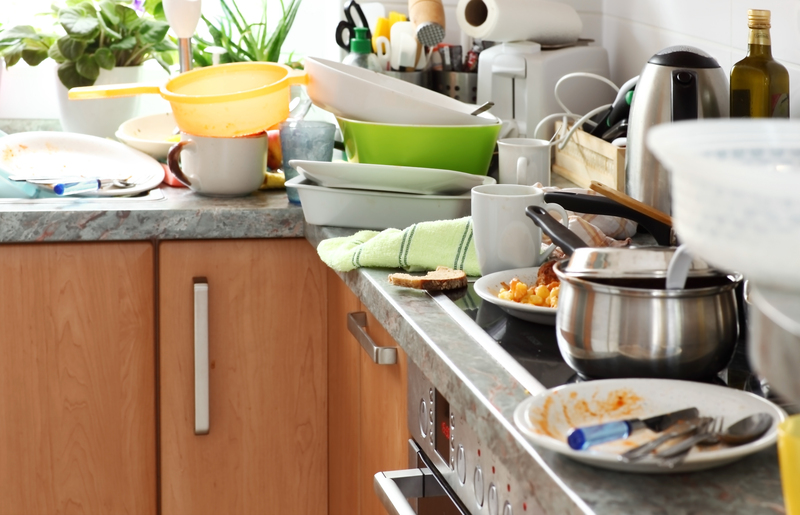 You’ll also avoid the stress of having a messy home when you have last minute guests. Want to do more to avoid Christmas stress? Get a copy of A Stress-Free Christmas: A Complete How-to Guide. I definitely need these tips. :[ I need to declutter my apartment like no other! I like the idea of slitting cleaning tasks with my husband that neither of us likes to do. We’ll have to see how that works. We’re also considering hiring cleaning services because of how often we’re both traveling.